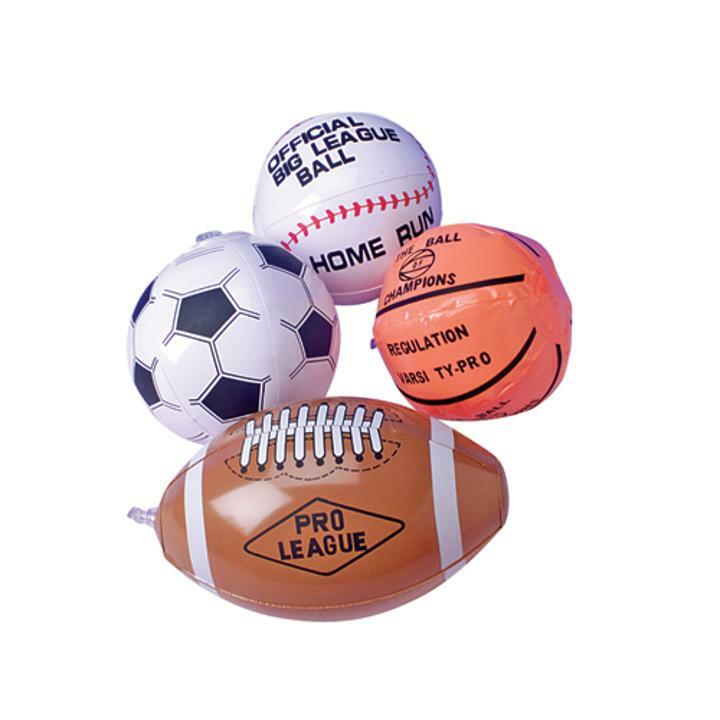 Cheap Assorted Sportball Inflates - 12 Ct.
No matter which sport is their favorite, these assorted sport ball inflates make for great party favor giveaways. Easily held by a child's smaller hands, the baseball, football, soccer, and basketball styles will provide plenty of play time. Throw them in the pool for some added fun. These inflates are great for land or water. L: 7.0 in. W: 7.0 in. H: 1.76 in.